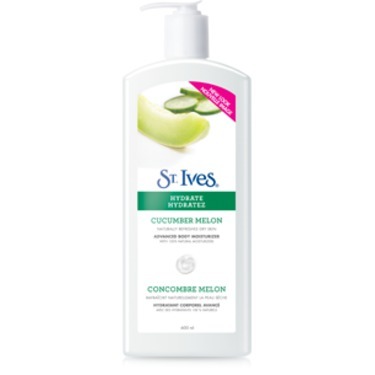 Drench your skin in nutrient-rich hydration with St. Ives Daily Hydrating Cucumber Melon Body Lotion. This formula combines cucumber, melon, and vitamin E in a moisture-rich formula proven to hydrate and refresh dry skin. 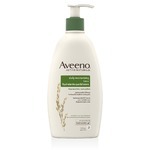 This lotion is without a doubt the"BOMB"
I have very dry skin, especial in the winter time. As I'm on a disability budget I've tried many lotions to treat my dry skin. I did this because I go for the sales always. 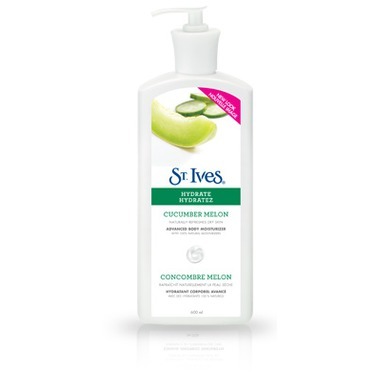 While doing this I came across St. Ives cucumber body lotion. I guess the main thing I noticed Forest was the smell. It's wonderful and head the best part or stays with you. Many lotion smells fade but not St Ives. I was very impressed by this. The lotion isn't greasy and when applied it goes on very nice. You don't have to use alot to get your skin feeling moisturized. I can't say enough about this product. If you ever get a chance please try it!! It has impacted me so much that even though I'm on a budget I find enough money to get my St Ives cucumber melon body lotion. So go ahead price me wrong...I dare ya!!! I am almost 57 yrs old, and I have been using St.Ives for approximately 25+ years. I don't use anything else. I put it on my face to the bottom of my feet, after every shower and on my face, daily. It is thee only lotion I have found that Actually absorbs into your skin with out leaving a greasy feeling or a filmy texture on your skin. I have been told too many times to count, that I have the softest skin. Just by people shaking my hand, and once by a young lady I knew, who brushed by me and touched my arm. She came back to tell me that I had such soft skin, and I told her to use St. Ives. I am not sure what my skin would be like if I didn't use St. Ives lotion. But I am.sure glad I do. Barely any wrinkles on my face, either. Thank you St. Ives for making thee best lotion. I have a bottle of this in each of my bathrooms. Also, I have a bottle on my desk at work. I am constantly applying lotion to my hands, particularly after washing my hands. This is my brand of choice. Has a nice light scent and my skin doesn't stay greasy. 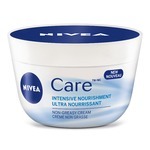 This brand is my favorite body and facial cream. But this cucumber one is my favorite. The smell is amazing, The lotion leaves my skin flawless and smooth right away. I only need to apply once after every shower. Love this product. I use this lotion on a daily basis at work. It sits in my desk and I love it. makes my hands, forearms and elbows super soft. The smell is great as well. It's a large bottle and lasts a long time. Great buy!! Light lotion quickly soaks into skin. Fresh no feelings of residue. Works the best when applied immediately after stepping out of the shower. I take mine with me in my beach bag when I head out for a day of sun at the beach. This lotion works well on my dry hands. I love that it absorbs quickly and it does not make my hands feel greasy. The smell is nice and light. It's great to have something at work that doesn't over power the whole office! Love St Ives Body lotion! 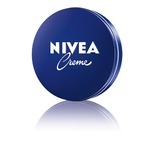 It goes on smooth, has a nice, light scent and does not leave any oiliness. Worth the money and is found in most drugstores and Walmart. I love the scent of this lotion. It works great and isn't greasy just the perfect consistency.